Dollhouses, Lighthouses... and now Polish Village Houses are available for your or your children enjoyment. Available in three sizes, striking with detail accuracy may be an excellent history cultivation piece. The villages near mountain regions are well known throughout Poland to be unique in one way; they make some of the most beautiful log houses in the world. This is a very accurate depiction of a typical log house found in the Carpathian mountains. 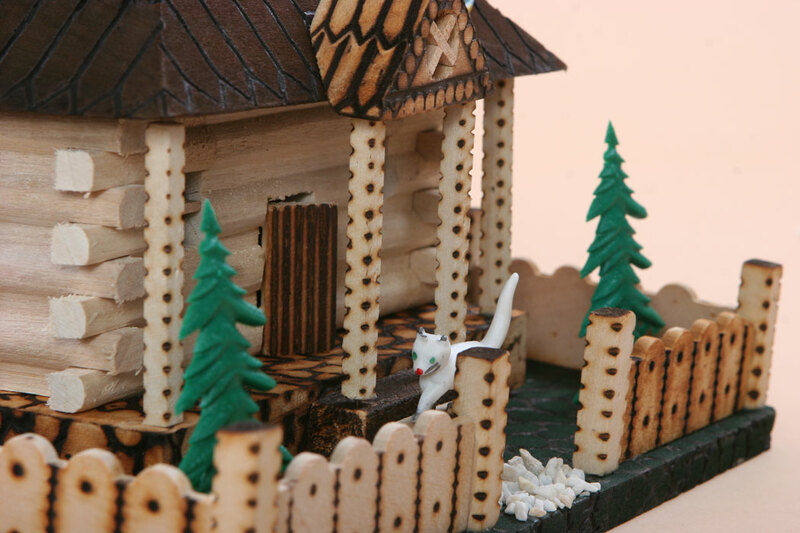 This villager log house is made of dozens of little pieces of wood, plastic, and rock. If you've ever been to the Zakopane region, you will adore this medium sized decorative piece. The base of this product measures 9.25" x 5.5" and is approximately 7.5" high. Each house is slightly different, making your house truly unique.